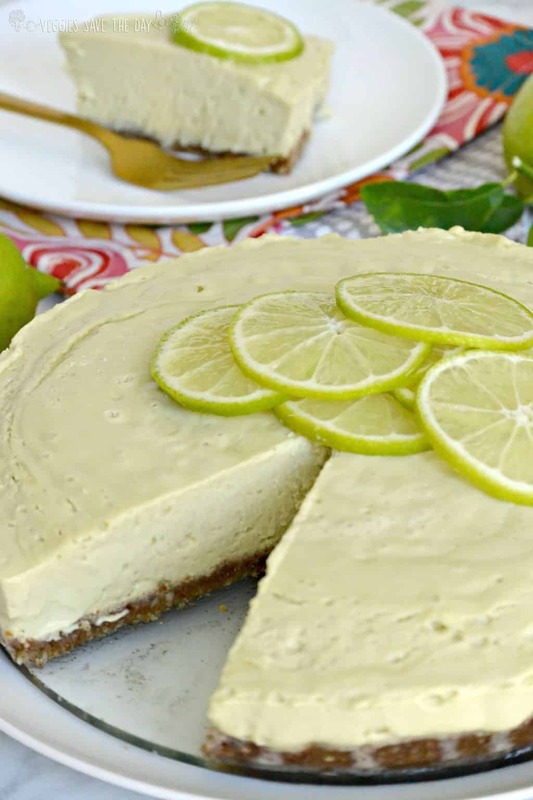 Raw Key Lime Pie from The Blossom Cookbook is a creamy no-bake dessert. It’s vegan, gluten-free, and delicious! Have you been to any of the Blossom restaurants in New York City? 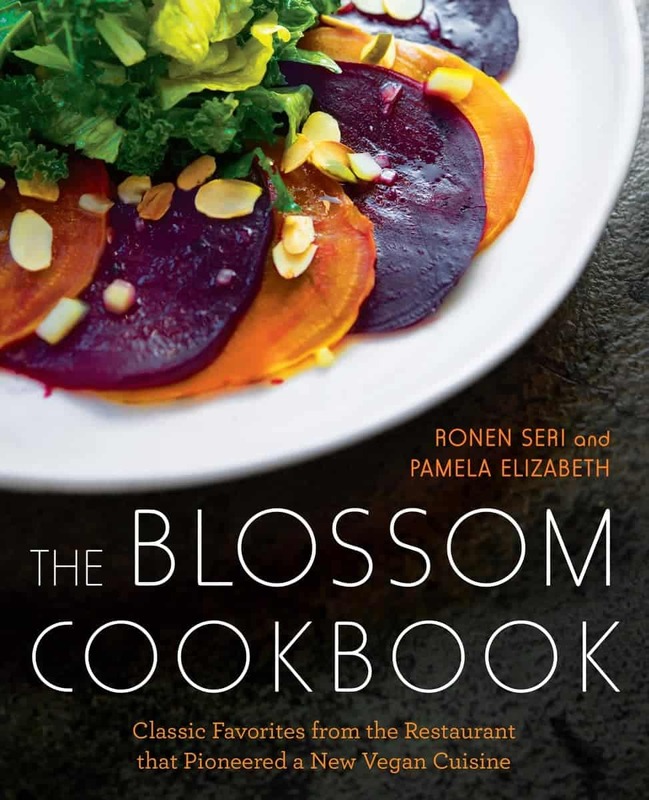 I’ve always heard how fabulous the food is, and after looking through The Blossom Cookbook, I really want to go! But fortunately for you and me, the recipes from this new book are really easy to follow, so we can bring the restaurant to our kitchens! Take this Raw Key Lime Pie, for example. All you need are a few common ingredients, a high-speed blender and a food processor, and you can make this incredible dessert anytime you want! I love how this book by Ronen Seri and Pamela Elizabeth is organized. They start with Sauces & Dressings. This really makes sense since you can build so many flavorful dishes from basic ingredients if you add a good sauce or dressing. I’m looking forward to trying the Pistachio Pesto, Tahini Dressing, and Cashew Cheese. I pretty much want to make ALL the recipes in this book. But I’ve bookmarked the Cilantro Rice, Quinoa Salad, and Enchiladas to make next. And I’m drooling over the Breakfast Burritos my friend Melissa made. I also want to try the Fluffy Quinoa Pancakes. However, first I had to start with dessert, which leads us to this amazing Raw Key Lime Pie! According to the authors, the “key” to this recipe is using fresh lime juice. I’m lucky to have a lime tree in my yard that produces massive juicy fruit. This dish calls for 1 1/2 cups of fresh lime juice, which typically requires 12 limes. But I only needed 5 from my tree! And for the macadamia nuts and pecans for the crust, I always buy them from the bulk bins. That way I only have to pay for the amount I actually need. But if your store doesn’t have bulk bins and you need to buy large bags, I recommend storing the nuts in the freezer so they last a long time. While I don’t spend much time making desserts, I can guarantee you that this one is really easy to make. That’s one of the best things about raw desserts: they are delicious without worrying about oven temperatures and baking times! I usually stick to really easy treats like Chocolate Chia Pudding and Pumpkin Pie Chia Pudding, but now I have a new dessert to add to my list. Plus this one is definitely a hit! And if you’re interested in trying more easy desserts featuring fresh fruit, check out my Apricot Crumble and Mini Blueberry Crumbles. Now let’s make Raw Key Lime Pie! Lightly grease a 9-inch spring form baking pan with coconut oil. Put the lime juice, agave, coconut milk, avocados, vanilla, salt, and coconut oil in a high-speed blender and blend until smooth. I love key lime! The perfect sweet and tangy flavor! You’re going to love this recipe, Rebecca! It’s the best key lime pie I’ve ever tasted! Super excited to try this recipe! Let me know how you like it, Kristy! Let me know how it compares, Melissa! And I hope your kids enjoy it too! Ah, this post makes me miss New York City so much! I’ve been to Blossom a few times. 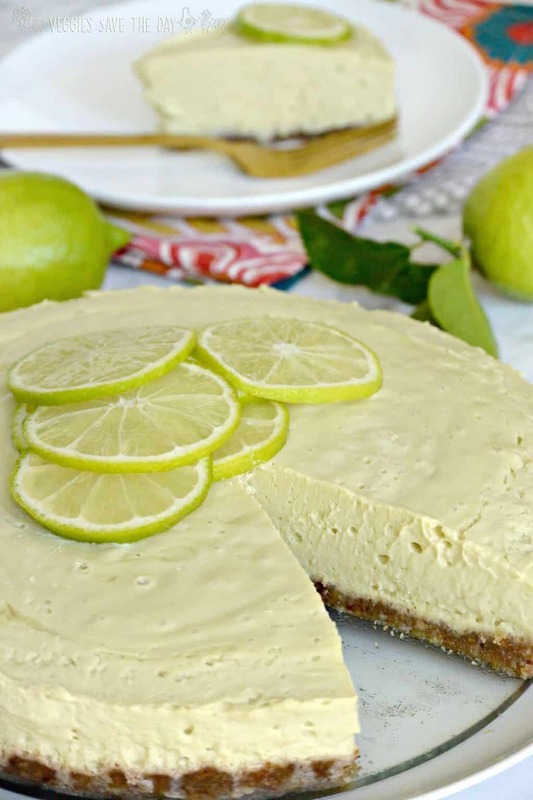 I can’t wait to get back there again, but in the meantime, this key lime pie looks amazing! I really need to plan a trip to NYC! I haven’t, but would love to. I need to get back to NY, haven’t been there in over 20 years and now I could just eat my way across the city! I need to go too, Julie! So many amazing vegan restaurants in that city. I have been to all of the Blossoms, and I love them! I’ve been waiting for them to come out with a cookbook for years. I enjoy BLOSSOM when I am in the city. I would really love the win the cookbook! Thanks for the fun contest! Oh my gosh, Amy! This pie looks amazing, and so does this book! You are going to love this book, Becky! No, I’ve never been to one of the restaurants. Another reason to visit NY again. I need to go, too! That cheesecake looks awesome. I love citrus desserts. I actually made a vegan cheesecake last weekend, but mine was vanilla with caramel and oreos.. I haven’t, but I’ve heard of it! My little sister lives there, so maybe someday I’ll get to visit her and we can go out to lunch! That looks and sounds delicious and now, I want to go to Blossom restaurants. Putting it on my list, the next time I visit NYC. Thanks Manju! I want to go too! I’ve seen Blossom food on IG! Top notch vegan food. The pie looks amazing! I haven’t had the chance to visit them in NYC, but this pie does look amazing! Key lime is one of my favorites. I’ll have to give this one a go! I think you’re going to enjoy it, Rochelle! Thanks for entering the giveaway! Ooooh, when I first saw the pictures I didn’t realize it was from the Blossom cookbook. I go to Blossom sometimes JUST to get this key lime pie. So excited to have the exact recipe now! Come visit me and I’ll take you there! Also meant to say thanks so much for linking up with us for Healthy Vegan Fridays! I’m Pinning and sharing! 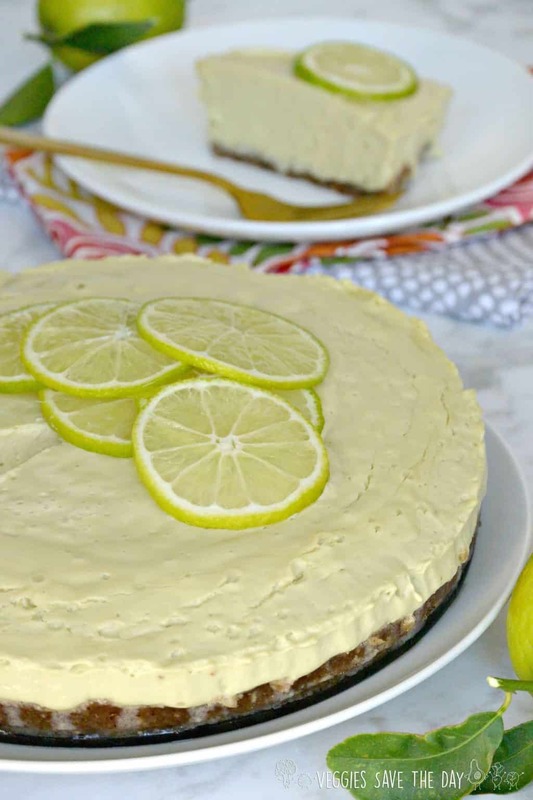 Oh my, that key lime pie looks amazing! I’d love to win this book. Dinner at Blossom in Chelsea is one of my most memorable, ever! Good luck, Gail! I hope I can have a memory like that someday soon! 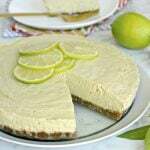 I’m really intrigued by the combo of these ingredients, as the key lime pie recipe I use is quite different – I’m so excited to try this because its looks so yummy !! Thanks Nicole! I really love this version! I just made this and it is AMAZING! Thanks for sharing this recipe! In my local market, there are 2 sizes of avocados. There are the smaller, single ones that fit in your palm and there are the big Hass avocados that come in bags of 3. You call for 2 avocados. Which size should I use for this recipe? It would help me even more if you can give a rough guesstimate measurement. Thanks! Hi Jessica! I used Hass avocados. Since this recipe is from a cookbook, I don’t know what side the authors intended, but I don’t think an exact measurement is crucial for this recipe. I hope this helps! I made this recipe and followed it exactly and brought to my moms for mothers day, and I cannot figure out what went wrong; it was so tart no one could eat it. i used exactly 1 1/2 cup lime juice. They loved the crust though, everyone raved about the crust. The only thing is i did not freeze overnight and only froze for a couple hours could that have been what happened? I’m so sorry to hear that. And you used 1 cup agave? The only think I can think of is either your limes were extra sour or something was wrong with the sweetener. Just made this a second time and taste tested the filling after putting a half a cup at a time of lime juice ended up putting the whole cup and a half and tastes great, i think what i might have done last time was to use 12 limes without tasting. I’m so glad it worked out better the second time, Alafair! I made this and it was amazing! my whole family loved it! Thank you! I’m so happy to hear this! Thanks Lauren! Is it really 2 tablespoons vanilla extract in the filling? Seems like alot! Yes, that’s what the recipe calls for. It’s from The Blossom Cookbook. I just banged this out. It’s kind of unfair that I need to wait till tomorrow. Looks good and taste tasted approved. How long does it take to thaw before eating? Thanks! I like to let it thaw about 30 minutes or so. I followed the instructions but the filling was very liquidy. I froze it overnight and then put it in the refrigerator to thaw. I didn’t get to it until the next day and it was runny again. So do you just let it thaw slightly then eat it? Hi Rebecca, Yes, you only thaw it for a little while before you eat it. It needs to stay frozen to stay firm.